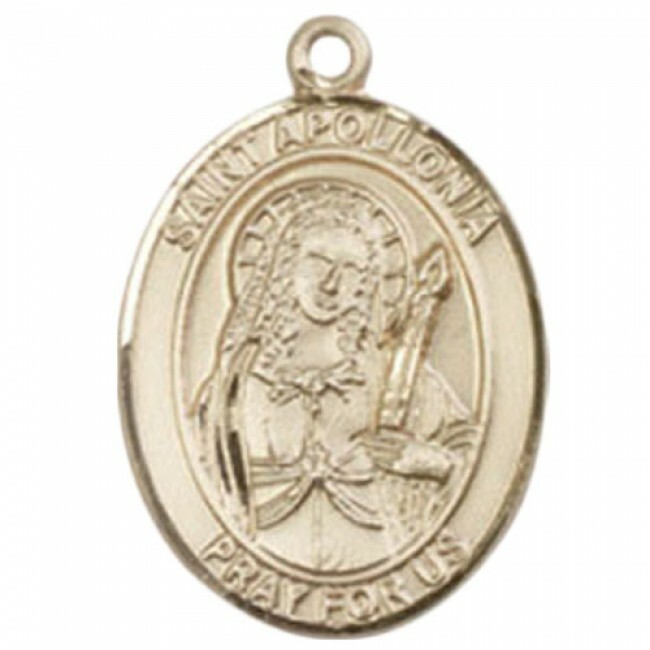 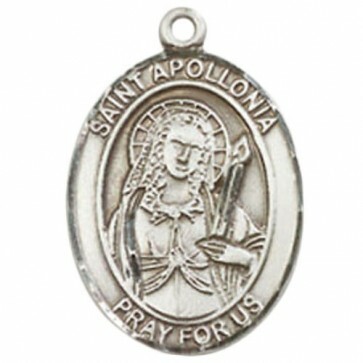 St. Apollonia Pendant. The medal measures 3/4 x 1/2 and is available in Sterling Silver on a 18SS Chain, Gold Filled on a 18GF Chain and 14 Karat Gold - No Chain. St. Apollonia is the patron saint of Dental Diseases and dentists.